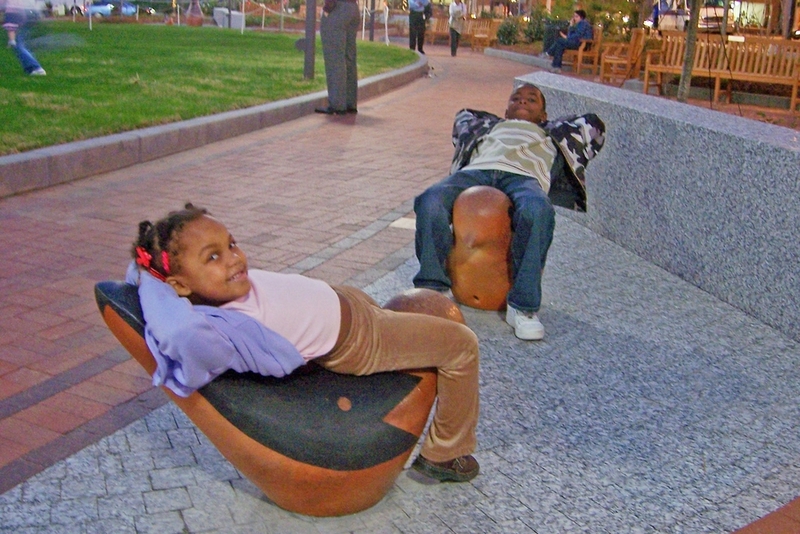 This project demonstrates the power of parks to bring a community together. 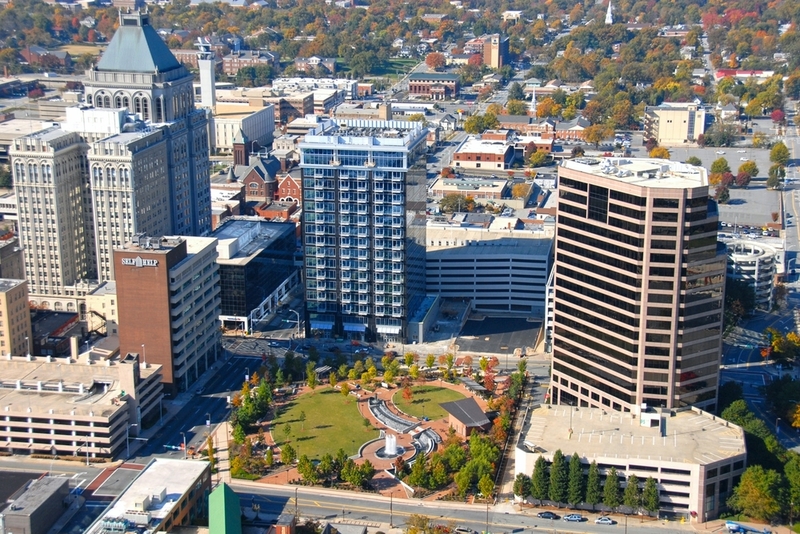 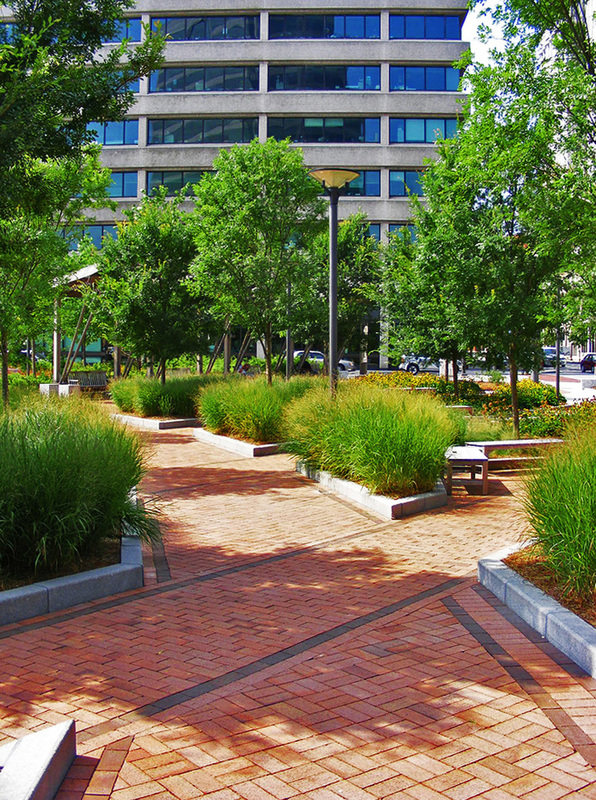 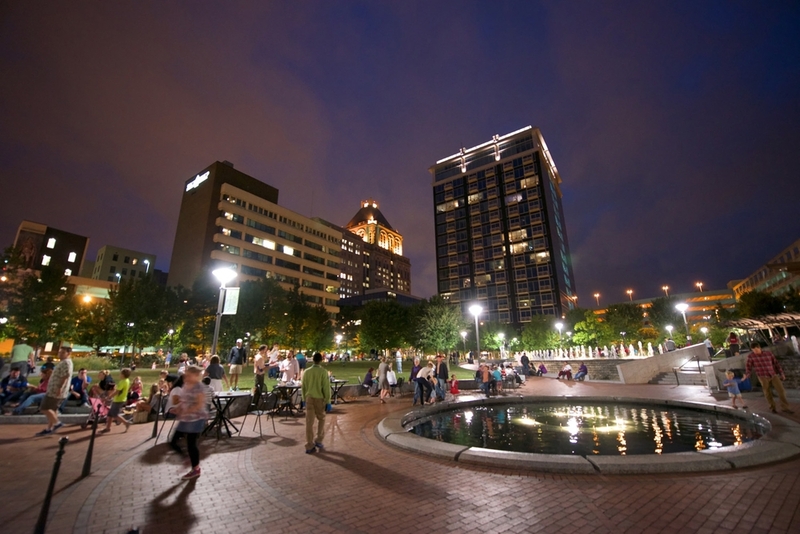 After a national search, Halvorson Design was selected to collaborate with foundations, citizens, and the City of Greensboro to develop a new destination park on a vacant city block at the heart of the downtown. 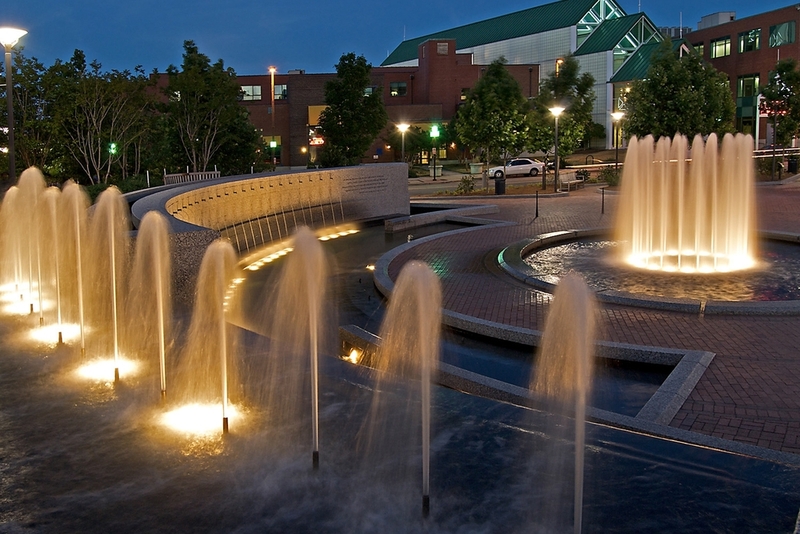 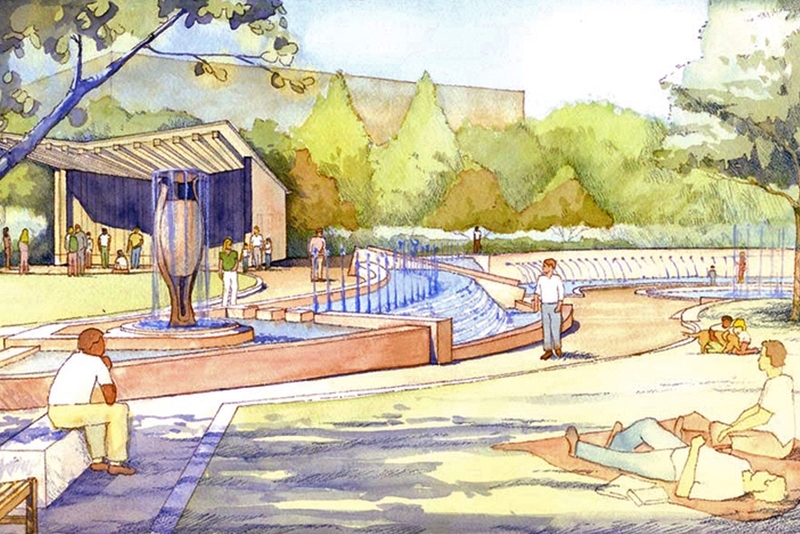 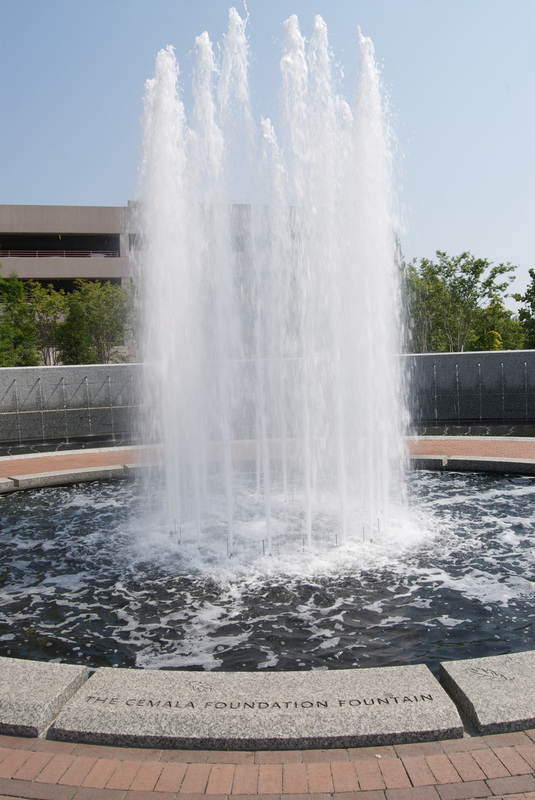 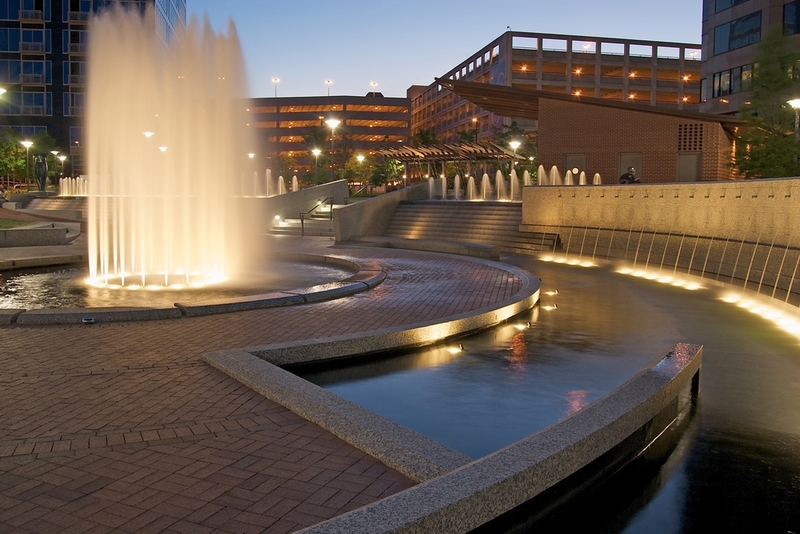 The principal organizing element of the firm's design is a 200 foot-long series of connected water features that can be experienced from all areas of the park. 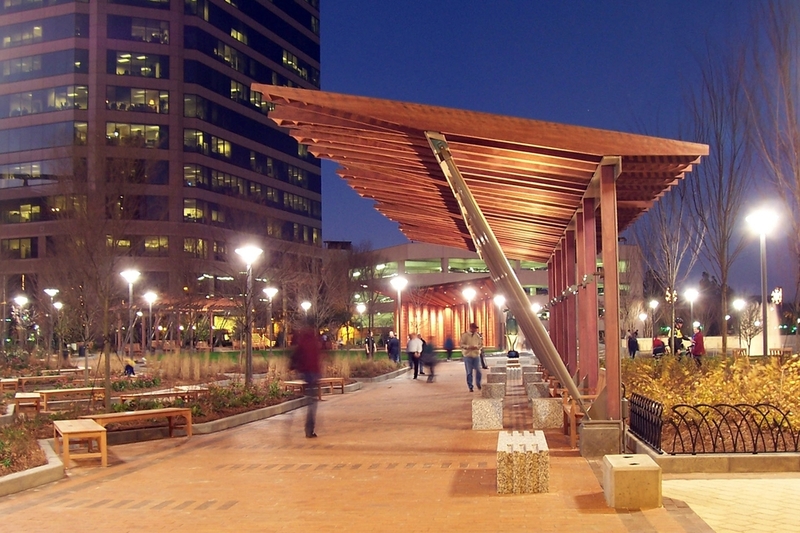 Pavilion and pergola canopies, along with plentiful shade trees, provide protection from the summer sun. 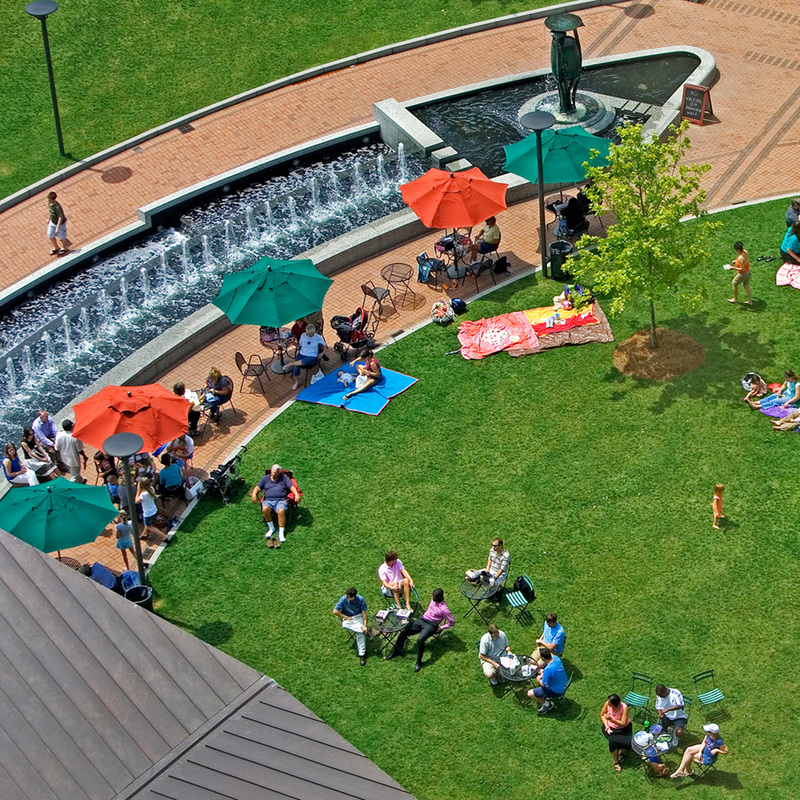 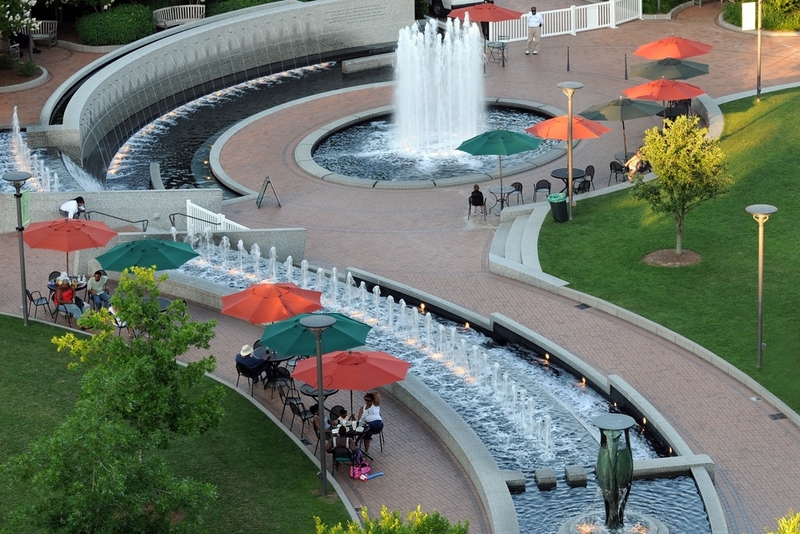 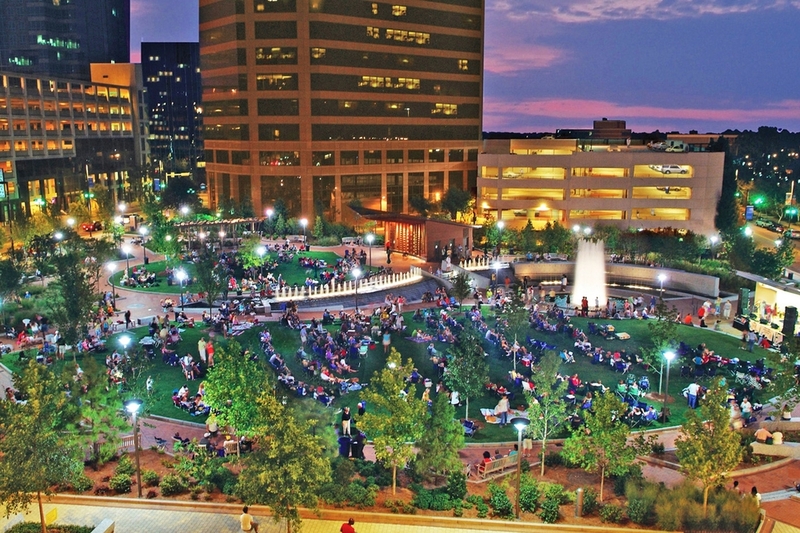 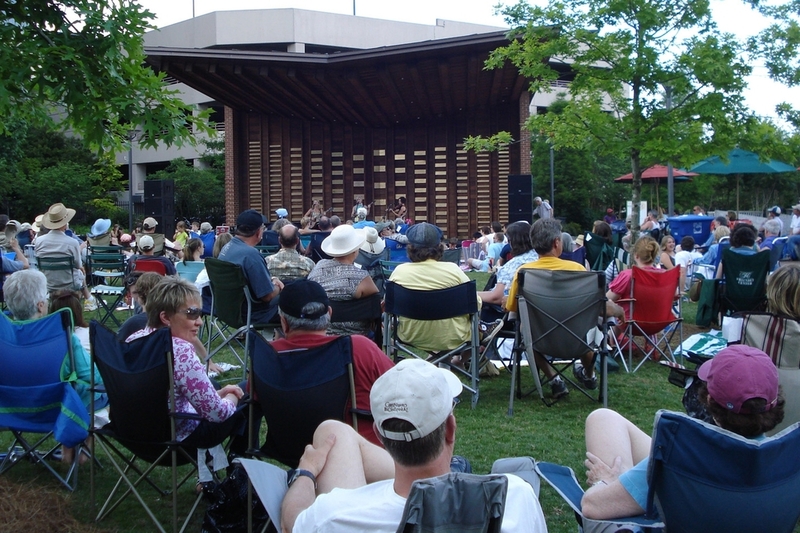 Two large lawns support public events and impromptu recreation. 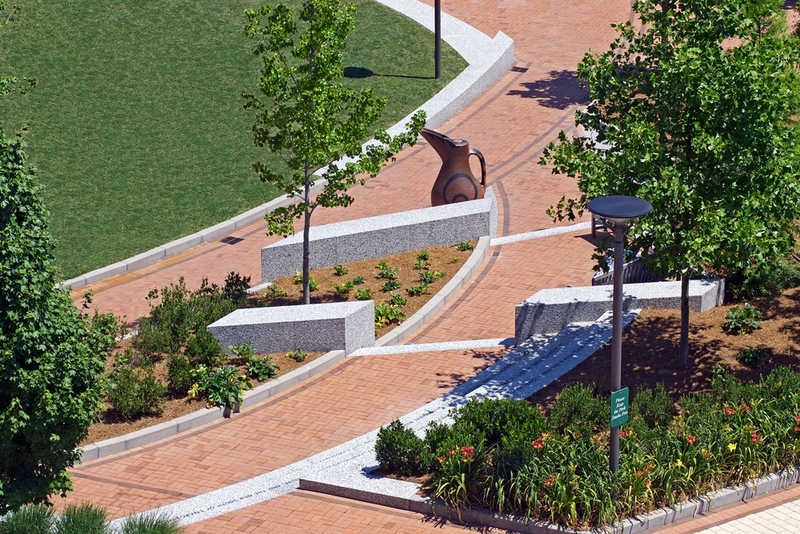 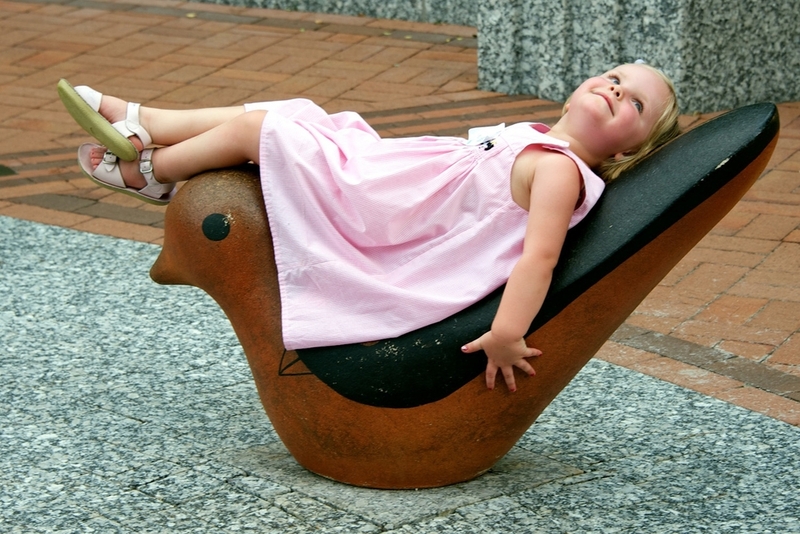 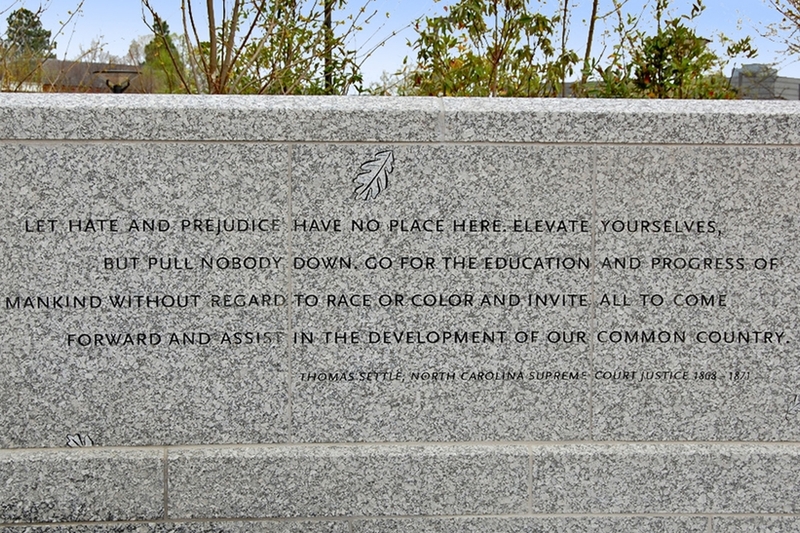 The entire park celebrates, through the work of local artists, the heritage of the city from the weaving of denim cloth to Seagrove pottery to Greensboro's native son, author O. Henry.